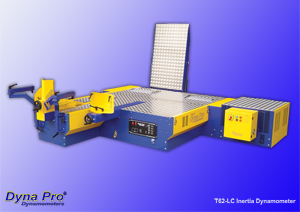 Details and Specification of T62-LC Load Controlled Dynamometer. The Dyna Pro T62-LC is a High Inertia Eddy-Brake Controlled Dynamometer for testing Motorcycles, Quads and Karts, and has been developed for the ‘Professional’ engine tuner, as well as retail shops and service centres. All Dyna Pro Dynamometers will provide consistent, repeatable results. 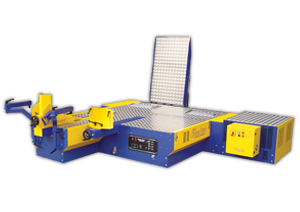 The T62-LC Chassis Dynamometer, has been developed to enable the user to carry out a more complete range of tests. Full 'Closed Loop' control of the Eddy-Brake enables a vast range of tests to be made with the minimum of effort. Wind Drag, Sweep and Step Testing & constant loading are just some of the features of the Dyna Pro T62-LC. With the LC Dynamometer, inertial acceleration testing can still be performed as with the standard S125 & S68 Inertia only Dyno’s. With Dyno Pro's advanced windows software, Dyna Run V3, operating the Dynamometer is simple and user friendly. All software is free for life and you will never be charged for standard software upgrades. Software upgrades are usually released once per year, and all Dynamometers come with a day’s training. ‘Seat of the pants’ testing is pure guesswork, a dyno will give you figures fast, and let you know and diagnose exactly what is happening in the heart of the motorcycle being tested. The Load Controlled range of Eddy-Brake Chassis Dynamometers is a breakthrough in terms of performance for money and all Designed and Manufactured, ‘in house’ by our highly skilled workforce based in Basingstoke, UK. Inertia Dynamometers will only handle ‘Sweep Acceleration’ testing, where as Load Controlled Dynamometers will handle both ‘Sweep Acceleration (fixed load & Variable load)’ and ‘Static’ testing at any given engine speed or road speed. All of our Load Controlled chassis dynamometers come as standard with a Hand Controller Pendant, Intelligent Ignition Pick-up System, Starter Motor System including battery and charger, Air Brakes for emergency braking on power failure, 12 additional analogue input channels for custom sensors, Real-Time Torque measurement of the Eddy Brake, and temperature compensation. Eddy Brake with Torque Monitor fitted as standard. Eddy brake system fully Closed-Loop with Infrared temperature compensation. Calibration Check Weight and Arm. Dyna Run V3 Advanced Windows Software (Software Upgrades Free for life). Multi Function Remote Hand Controller. Starter System fitted as standard (Also used to calibrate Dynamometer). 12 Auxiliary 0-5 Volt Data Acquisition Inputs, for connection to additional sensors. Machine Construction from 3, 5 & 10mm Precision Laser Cut steel, powder coated finish, Blue & Yellow. 4 Channel Type K Thermocouple Unit. Ram Air simulation System (Calibrated to road speed). Infrared Temperature monitor (up to 500ºC). Items shown '***' above come as standard with the show package deal.